To celebrate the 50th anniversary of an aircraft both brilliant and beautiful, Bremont launches its eighth historical limited edition timepiece, the Bremont Supersonic, incorporating parts of one of the most famous and iconic planes in history Concorde. Ahead of her time in more ways than one, Concorde flew faster than a rifle bullet and halved the time of transatlantic crossings. Over 2.5 million British Airways passengers experienced flying eleven miles high at twice the speed of sound. This evocative civilian airliner completed more supersonic flying hours than the entire world's air forces combined. 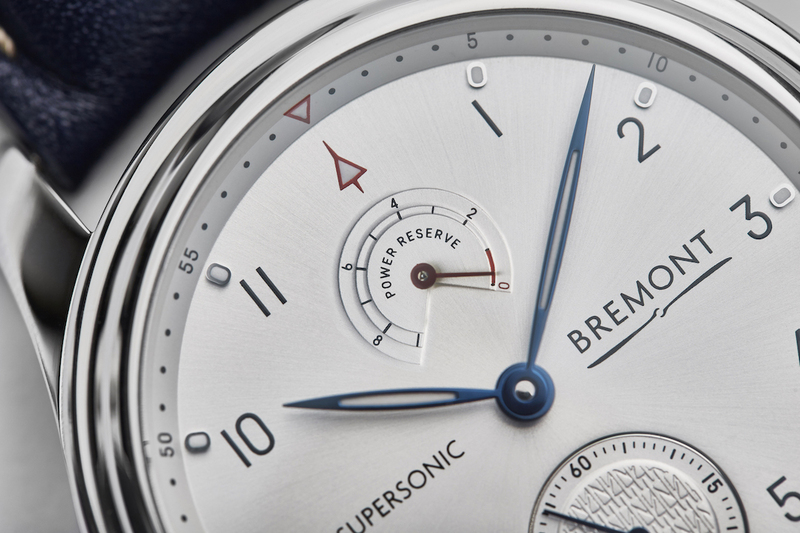 The Bremont Supersonic contains the manufacturer's first ever manual wind movement which features an 8-day power reserve and has a power reserve indicator at the 12 o'clock position on the dial. The style of the timepiece is reminiscent of a 70's look and feel with its sunburst white dial representing Concorde's specially developed highly reflective paint. 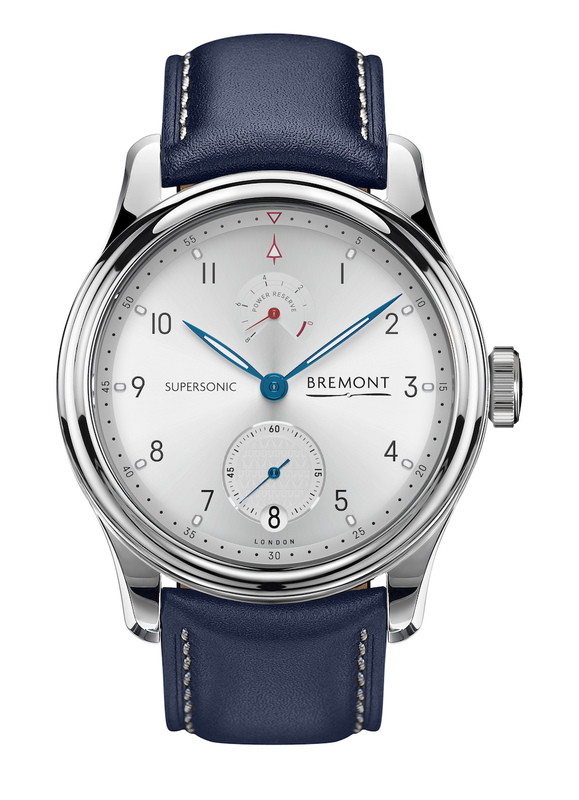 The blue hands of the Supersonic echo British Airways blue on Concorde's famous livery and a subtle motif of the plane's iconic silhouette can be seen on the second-hand subdial. In partnership with British Airways, metal from the G-BOAB Concorde, known as Alpha Bravo, was donated to Bremont to incorporate into these unique timepieces. This aircraft was registered in 1974, taking to the skies for the first time in May 1976 flying from Filton to Fairford in 3 hours, 32 minutes. It was the third Concorde to be part of the British Airways fleet. In September 1984, she set a distance record for an airliner with a 4,565 mile flight from Washington to Nice and in November of that year, flew the inaugural charter service from London to Seattle via New York. A top speed of Mach 2.05 was reached at a height of 63,500ft. The elegant design of Concorde gave it an instantly recognisable silhouette, which has been cleverly incorporated into the movement of the Bremont Supersonic. Aluminium taken from the plane has been machined into a decorated ring within the case back design, underneath the crystal. This will also feature a description of the aircraft's main attributes: number and registration, years of active service, number of supersonic flights as well as her top speed. Giles English "Concorde was more than just metal. She inspired pride and emotion that is truly a rare thing. 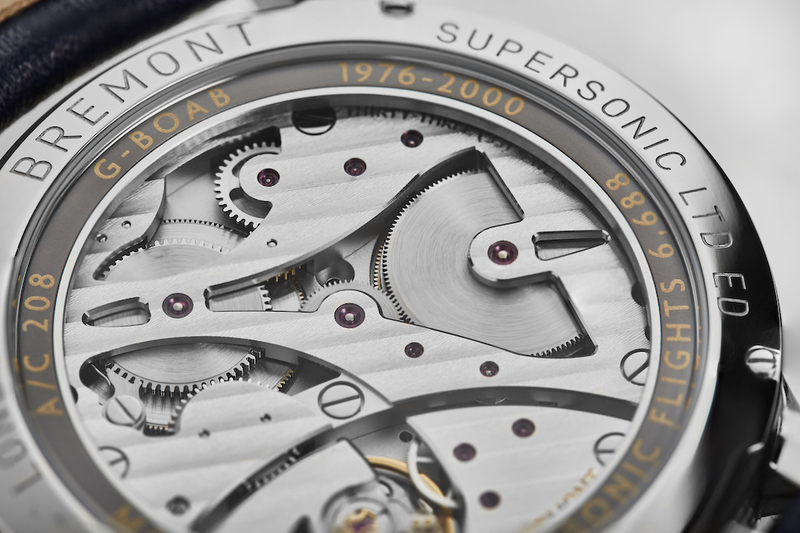 We are delighted to dedicate the Bremont Supersonic chronometer to this remarkable type and will incorporate aluminium from Concorde Alpha Bravo into the watch. 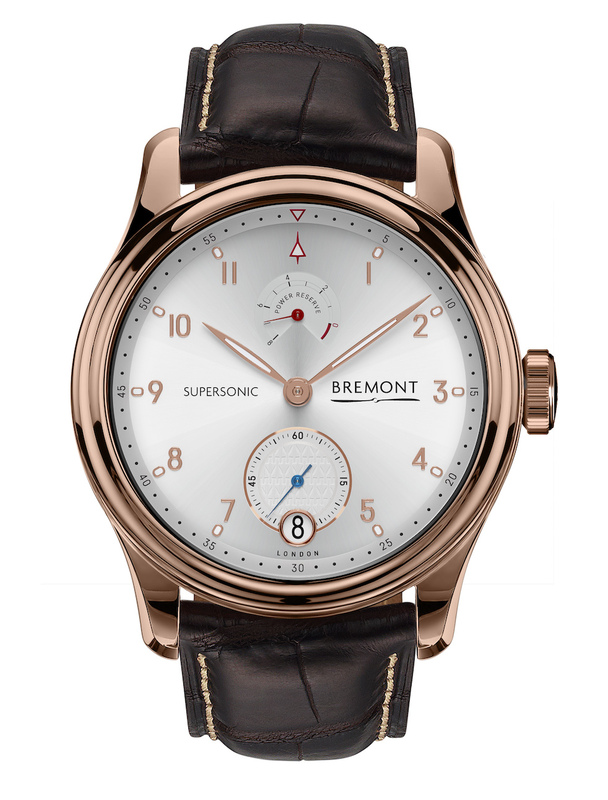 The Bremont Supersonic is our unique tribute to the world's only successful supersonic airliner; it's an honour to work with a prestigious company such as British Airways and for them to trust us with their Concorde heritage." In the world of civil air transport, Concorde stood out. When she passed overhead, people paused to catch a glimpse of her distinctive silhouette. Concorde's delta wing with its sweptback curve was adapted from military designs. To reduce drag and increase strength, a technique called sculpture milling was used to mould the wing from one solid piece of aluminium. This resulted in a wing free of welds and rivet joins. Over 5,000 hours of testing ensured Concorde's wing could generate lift at critical low speeds as well as the supersonic speeds she reached at altitude. Bremont Co-Founder Nick English said, "Concorde made the dream of supersonic travel a reality. She was a landmark in aircraft design and her incredible achievements make her a classic example of British engineering at its finest. She was cutting edge throughout her 27-year service." Alex Cruz, British Airways' Chairman and CEO, said: "Concorde was such a magnificent piece of engineering and will always be an important part of our heritage. 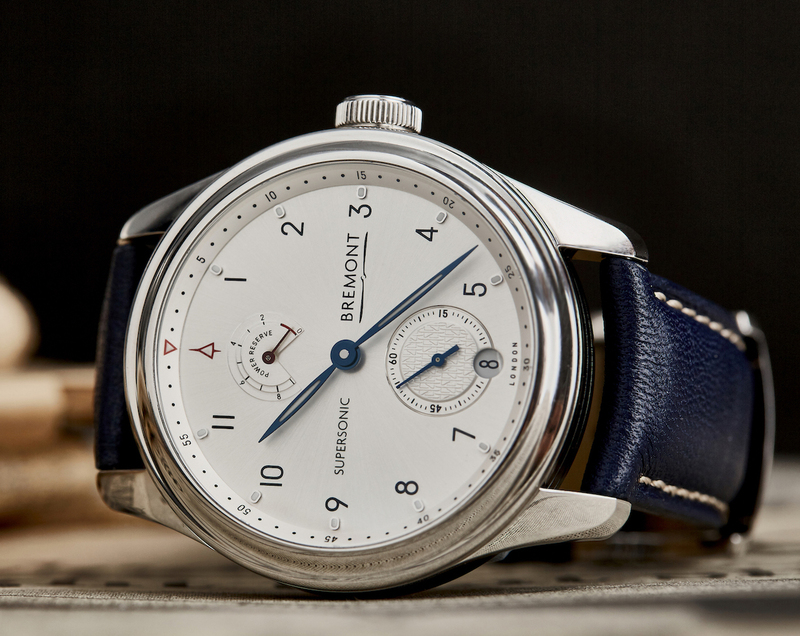 We are hugely excited to have partnered with Bremont, another British brand with a history of exceptional design, as we celebrate Concorde's 50th year and look ahead to our centenary in 2019." Unlike traditional airliner designs, Concorde's wing was free of complicated flaps, slats or tabs. Another distinguishing feature was her 24-foot long needle-shaped nose. To allow pilots to see the runway, her aerodynamic nose cone was designed to 'droop' down by 12 degrees. During flight it was raised, and a reinforced tinted visor slid up to protect the cockpit windows at supersonic speeds. Supersonic flight subjected Concorde to extreme thermodynamic pressures that caused the airframe to heat up and stretch. The aircraft's nose was the hottest point, reaching 127 degrees Celsius. These extreme temperatures caused the airframe to stretch up to 11 inches, a factor taken into account when developing Concorde's special highly reflective paint and laying the cabin's carpets. Cruising at Mach 2, Concorde's maximum operating ceiling was 60,000 feet. Any military pilot at similar altitudes would be wearing a space suit and breathing oxygen. Concorde passengers were wearing shirtsleeves and drinking champagne. What her designers achieved was remarkable: a pioneering airframe operating at high altitudes and supersonic speeds, whilst still providing a commercially viable and reliable service. 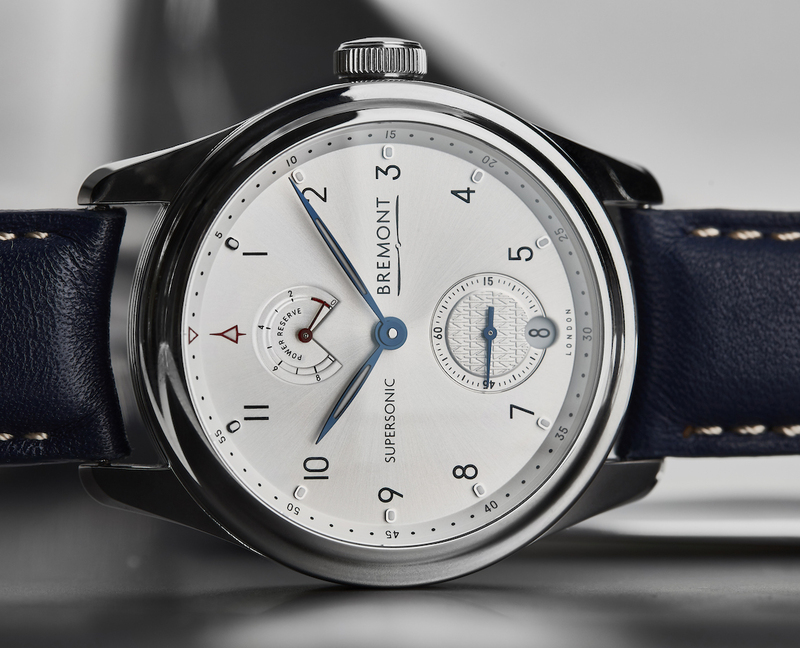 Bremont is delighted to be working with British Airways on the launch of this special limited edition, ahead of the airline's centenary celebrations next year. Founded in 1919, British Airways is one of the world's leading global premium airlines with an aircraft taking off from somewhere in the world every 90 seconds. British Airways will celebrate its 100th anniversary on 25th August 2019. The airline can trace its origins back to the birth of civil aviation. Since the world's first scheduled air service on August 25, 1919, air travel has changed beyond all recognition. Part of the proceeds from these unique limited edition timepieces will be donated to the Air League Trust, an organisation that works with British Airways to support its employability programme 'Inspire' and enables the young to learn how to fly. This brilliant cause is part of a wider network of charitable activity supported by British Airways. Concorde's official farewell was held at Heathrow on 24th October 2003. Loved by pilots, passengers and the public, large crowds turned out to witness her final flights and wish her a fond farewell, with millions more watching on the television news. Concorde was not merely a machine; she was a cherished source of national pride. Whilst she undoubtedly saved her passengers time, there were many who wished the flight lasted longer. The case, in stainless steel, or in 18kt white or rose gold, measures 43mm x 14.5mm. It has an AR-coated sapphire crystal, a sapphire display back, and it is water resistant to 100 meters. 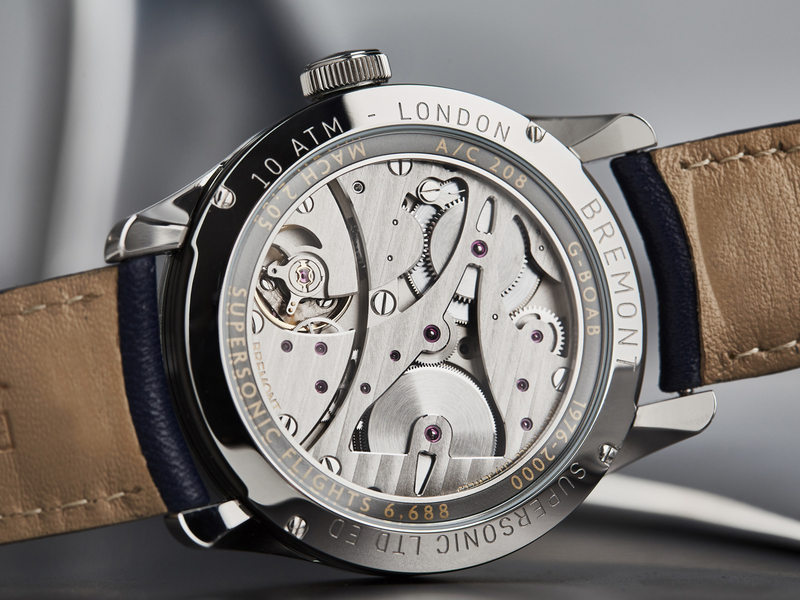 Movement is the Swiss manual-wind Bremont caliber BE-11M8 with 33 jewels, 21,600 vph and a power reserve of 8 days. It features a Glucydur balance and Anachron balance spring with Nivaflex mainspring. Decoration ring visible from the caseback, constructed from aluminium used in Concord plane call-sign G-BOAB. Functions are: hours, minutes, permanent small seconds at 6 o'clock, date at 6 o'clock. 8 day power reserve indicator at 12 o'clock. 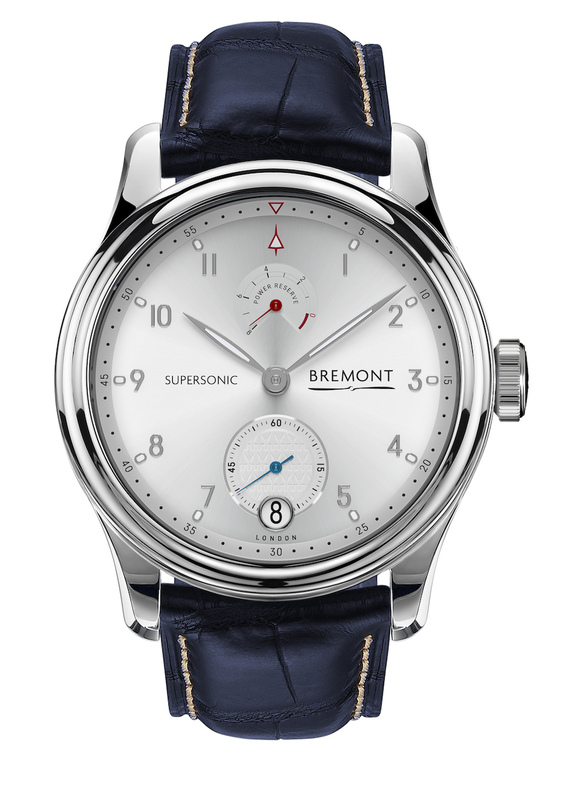 It has a sunray silver white metal dial, with applied indeces, blue steel/ nickel/rose gold hands with SuperLuminova. It comes on a 22mm Connolly leather strap in Concorde blue, or a blue crocodile leather strap or a brown alligator leather strap with a pin buckle in matching metal. I really like the Concorde-shaped cutout on the movement. As always, your post is a magnificent source of information and beautiful. I find it amazing how fast this company is growing in a relatively short time frame. The photos showing the movement are excellent to show the uniqueness. Thank you for your post. I really like the watch but not the date placement. In fact would be better with no date at all. I'd like to know more about the movement - what is the base calibre? I assume it's not in-house as it is described as Swiss. MSRP? Or is it a case of 'if you need to know, you can't afford it'? Omega Speedy Pro; Tudor Pelagos; Nomos Tangente Neomatik; Casio 'Wave-ceptor', 2 Casio 'G-Shocks'. ...hands that look like they came from a more formal, dressy watch and 43mm?? Lots of empty real estate on that stark dial to splash with BREMONT. I am not too sure of the supersonic written on the dial. I think the one in RG looks very nice. I think if I wanted a "supersonic" airliner watch this would have to do. It has a nicer dial too and besides the TU144 was first to fly. (first to crash also of course and no success in passenger service either). I cannot fathom the target market for this unsalted, sans butter horological popcorn but if the intended audience is not Pepsi-fueled, X-Plane 11 addicts, filthy rich middle-schoolers or the placebo group in a smart pill clinical trial then it's a sliver of society tailor-made for a social anthropologist doctoral candidate. I'm not a fan of the watch but to each his own. those are clean looking dials.